Show your support for the Elk Restoration Project, and celebrate Virginia's most recent wildlife conservation success story. Like the first glimpse of a bull elk on the ridgeline, this grey hat is sure to draw attention and create a lasting image. 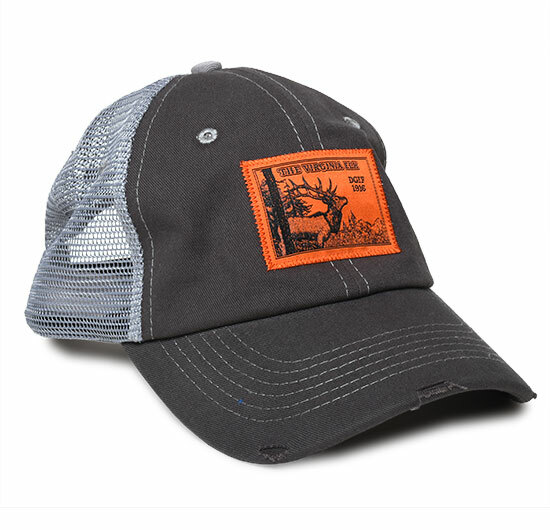 Featuring the 1945 vintage elk hunting stamp, this hat is destined to be both a favorite companion and a collector's item. Get yours today!